This exchange program strengthens ties between Japanese-American leaders and their counterparts in Japan through a weeklong program in Japan. The cohort meets with Japanese leaders in government, business, and non-profit sectors during their stay in Japan. The program is organized by the US-Japan Council (USJC) and the Ministry of Foreign Affairs. 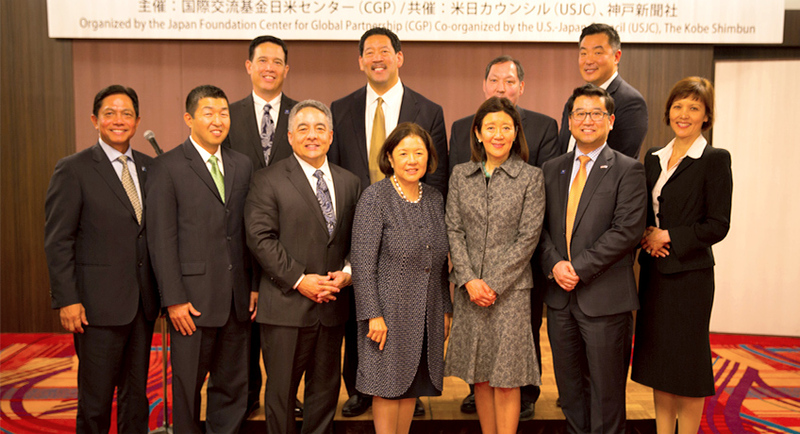 As part of this program, CGP organizes the Japanese American Leadership Symposium with the visiting Japanese-American leaders as panelists. For information on the exchange program, please visit the US-Japan Council website. 2009: "Building New Networks:An Era of 'Change' in Japanese American - Japan Relations"
2008: "Reconnecting with Japanese Americans: Beyond 100 Years of Emmigration"
2007: "Japanese-Americans at a Crossroad: Connecting Past, Present, and Future"
2006: "From Art to Business: Japanese-Americans in the Professional Arena"
2005: "Practicing Multicultural Co-existence: from Minorities Perspective"